The Edmonton Oilers have not made the playoffs since losing in game seven of the Stanley Cup Final to the Carolina Hurricanes in 2006. That means the Edmonton Oilers have not made the playoffs in the last nine seasons. That is a long dry spell for such a storied franchise. But Edmonton has had reasons for hope along the way, including many first-round draft picks. At this point, Edmonton’s pool of young talent is overflowing, but the organization has been unable to harness it effectively over the years. From rushing players to the NHL instead of letting them develop properly to mismanaging the team to failing to put together a balanced lineup to failing to address a struggling defense and goaltending unit, the Oilers’ management has been unable to change the tide in Edmonton. Until now. The Oilers have made many adjustments this offseason. Suffice it to say that the Oilers have taken many deliberate steps towards returning the Oilers franchise to its former glory. Though the Oilers could (and very likely will) miss the playoffs this year, there is finally change in the air. It is well-known that Edmonton has taken advantage of many poor seasons by getting multiple number one draft picks, or high first-round picks. In 2008 Edmonton used the 22nd overall pick to select Jordan Eberle, who has since put together four seasons with 60+ points (including the lockout-shortened season in which Eberle was on pace for 63 points in an 82-game season). In 2010 the Oilers drafted talented left winger Taylor Hall, who has scored 42, 53, 50, 80 and 38 points in his five seasons with the Oilers; he scored 50 points in the lockout-shortened season in which he played 45 games, which would have put him on pace for 88 points in a full season. Hall has battled several injuries as a result of his all-or-nothing competitive style, but he has produced consistently for the Oilers since being drafted. He showed in the 2013-2014 season what he is capable of if he can avoid the injury bug, as he scored 80 points in 75 games. In 2011, the Oilers used the first overall pick to select Ryan Nugent-Hopkins, and the year after that the Oilers used the number one overall pick to select Nail Yakupov. Nugent-Hopkins has scored 50+ points in three out of his four seasons, and Yakupov was on pace for 53 points in his rookie season (the lockout-shortened season) but has followed that up with two less-than-stellar performances. However, he finished last season with 11 points in the final 16 games. Yakupov is signed on a bridge deal for the next two years with a cap hit of $2.5 million, which will give him an opportunity to prove his worth. The Oilers also drafted defenseman Darnell Nurse at number seven in 2013 and Leon Draisaitl with the third overall pick in 2014. High-end talented prospects were piling up; the Oilers had so much raw talent but didn’t know what to do with it. But the best prospect of them all, the prize prospect of the decade, wouldn’t come along until the 2015 draft: Connor McDavid. McDavid is considered by virtually everyone in the hockey world to be a true generational player, and is the most anticipated and lauded player to grace the NHL ice since Sidney Crosby. The McDavid lottery sweepstakes was a televised event, and any team with any slight chance of drafting him prayed to the hockey gods. In a twist of true irony, the Edmonton Oilers, who were slated to pick third in the draft based on the regular season standings, won yet another draft lottery and got the number one pick. Edmonton, who is already stacked beyond belief with young talent, is adding the most valuable and talented prospect the league has seen in 10 years. 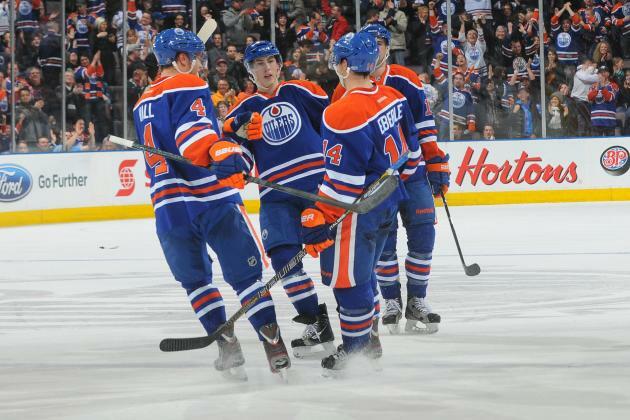 The Oilers did not just sit back and enjoy the Connor McDavid show, though. To Edmonton’s credit, many long-overdue organizational changes have been made this offseason, including bringing in a new general manager, a new and experienced head coach, a few additional solid veterans and a goalie in Cam Talbot who will have a shot to prove he can be a number one goalie in the NHL. The Oilers have had an aggressive offseason, completing six trades and bringing in additional pieces to better solidify the lineup, including defenseman Andrej Sekera, who was considered one of the top free agents of the summer. Though the Oilers have not had a perfect offseason, it is certainly the most productive and encouraging offseason Edmonton has seen in quite some time. There is finally accountability in the organization, in the coaching staff and in the lineup, which is something that has been lacking for a very long time. No one knows how much of an impact McDavid will have on the overall team’s success in his rookie season. He is a spectacular player and is used to having all the pressure on his shoulders. 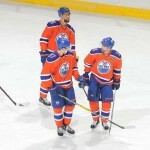 Hopefully that will help players like Nugent-Hopkins and Yakupov step up and better reach their potential. But no matter what happens, Edmonton will be a fun team to watch. Announced the resignation of chief operating officer Patrick LaForge. Named Peter Chiarelli president of hockey operations. Announced that Kevin Lowe is leaving hockey operations staff but will remain vice chairman of Oilers Entertainment Group. Named Todd McLellan head coach. Announced associate coach Keith Acton and assistant coach Craig Ramsay will not return this season. Fired head amateur scout Stu MacGregor. Fired head pro scout Morey Gare. Fired amateur scouts Brad Davis and Kent Hawley. Fired pro scout Dave Semenko. Fired director of coaching and special projects Billy Moores. 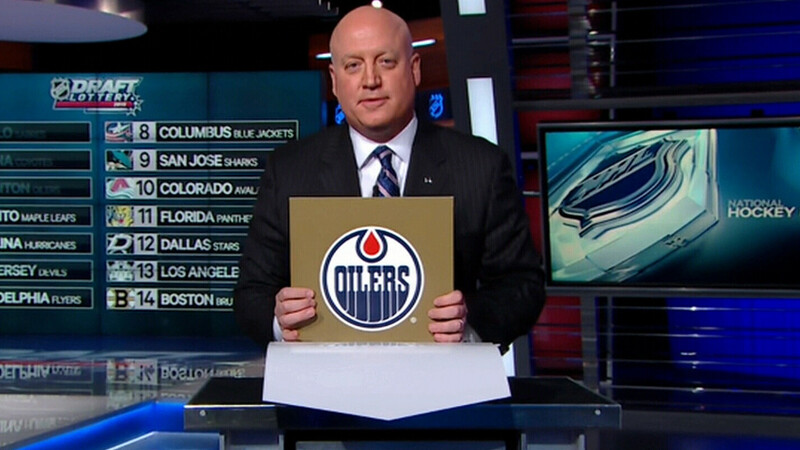 The Oilers have had great success winning draft lotteries for many years. But this year, Edmonton struck gold. Connor McDavid is the most anticipated prospect the NHL has seen in the last decade, and he is expected to be a generational player. He has tremendous ability, skill and poise, and he is wise beyond his years. 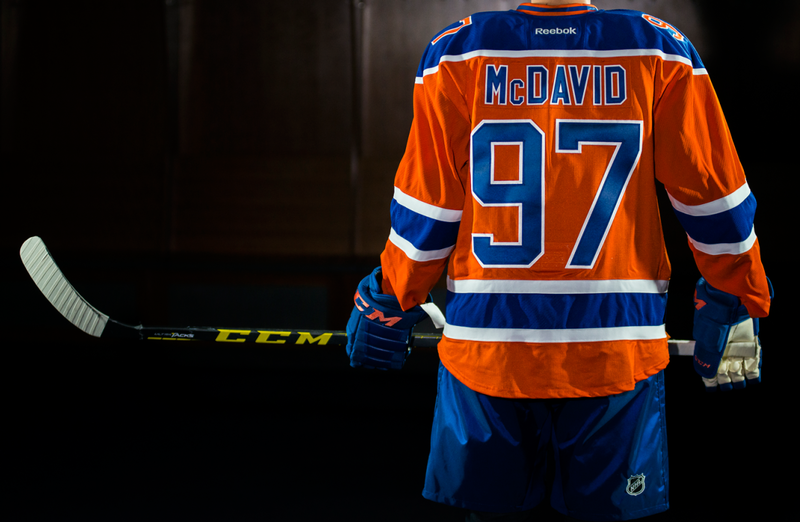 Oilers fans (and hockey fans) must remember that McDavid is still only 18 years old. He will dazzle the league, and every magical play and every mistake will be admired and scrutinized by the media throughout North America. But McDavid needs and deserves time to adapt. More than just his ability, another thing McDavid brings to the Oilers this season that will be of tremendous value is his experience facing and overcoming enormous pressure. There has been a lot of pressure on individual players in the Oilers organization, as well as on the organization as a whole. Whether it is right or wrong, McDavid will help bear the burden of a lot of this pressure; he is the kind of player who welcomes it and enjoys it. McDavid will thrive in Edmonton, and his play and ability, along with his ability to handle pressure, will make everyone around him better. The Edmonton Oilers have needed drastic organizational and management changes for quite some time. These changes have finally been made, most significantly by bringing in new general manager Peter Chiarelli and new head coach Todd McLellan. It is rare for an organization to begin a season with a brand new general manager and a brand new coach, neither of whom had any affiliation with the team before this year. In a way, this is fitting for the Oilers, because Edmonton needs to wipe the slate clean. The players need a fresh start, the organization needs a fresh start and the fans deserve a fresh start. Clearly, things have not been working in Edmonton. This team is way too talented to end up at the bottom of the standings year after year. Chiarelli, formerly the Boston Bruins general manager for the last nine years, is famously responsible for taking the Boston Bruins team from the historic playoff collapse against the Philadelphia Flyers in 2010 and turning it into the Stanley Cup Champions in 2011. But Chiarelli had been the general manager for several years before that happened, and did not just come in and gut the team. He made meticulous moves, meaningful trades and found players that better fit the “Boston Bruins mold.” He also wasn’t afraid of moving on from players who longer made sense in the big picture. There was a system in place, and the organization followed it, which led to the Boston Bruins winning the Cup in 2011 and becoming one of the best teams in the league every year. Due to budget constraints, Chiarelli made several cap-forced moves last season that hurt the Bruins and landed the team in a serious financial bind. The season was the worst Boston has had in many years, and it was the first time Boston has missed the playoffs since the 2006-2007 season. Chiarelli was ousted in April, but he landed in the perfect spot. Though Chiarelli is not expected and should not need to make drastic roster changes like he did in the offseason after 2010, he is experienced enough to understand how to take a team replete with talent and turn it into a winning team, but is not stale enough where he is inhibited by his own biases and patterns. The same is true of Todd McLellan, who is the new head coach of the Edmonton Oilers. McLellan has coached the San Jose Sharks for the past seven years. In that time, the Sharks have been one of the most consistently successful teams in the league, reaching the playoffs in six out of seven years. The Sharks were never able to battle through the playoffs and compete for the Cup, but there are a lot of contributing factors to explain the Sharks’ lack of postseason success. Of course, some of it has to be on McLellan. The Sharks were basically an automatic choke team every year in the playoffs, no matter how dominant they were in the regular season. Every year it felt like the team hit the brakes just in time for the playoffs. In McLellan’s seven years with the Sharks, the team lost three times in the Conference Quarterfinals (first round), twice in the Conference Semifinals (second round) and twice in the Conference Finals (third rouond); the team missed the playoffs this past season. 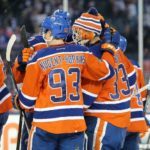 But to be fair, when it comes down to it, McLellan coached a team that was led by certain players who were not “winners.” It seems doubtful that McLellan will run into this problem in Edmonton, since there are many options and so many talented players who can lead this team for many years, especially Hall and McDavid. But McLellan, like Chiarelli and like the Oilers, needed a fresh start, and found a great opportunity in Edmonton. The Oilers have hired and fired coach after coach after coach. It has been an endless carousel of disastrous coaching situations, one after another, with no one left to be held accountable, take responsibility and clean up the mess. The combination of Chiarelli and McLellan will do just that. The organization has already taken many positive steps towards improving the fundamental flaws of the team, and McLellan will help take a group of young players and turn them into a winning club. 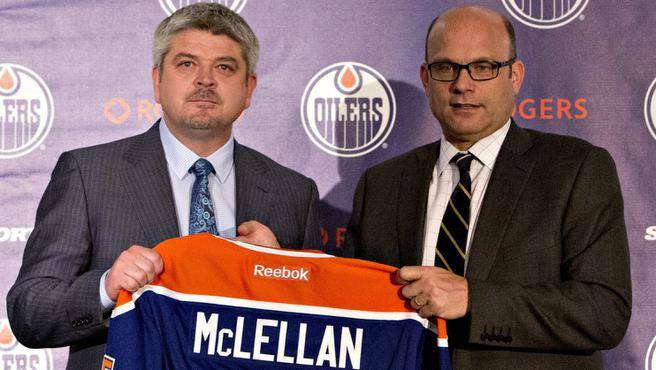 McLellan can get the best out of his players in Edmonton, and he is here to stay. He and Chiarelli will turn this franchise around. One of the best trades the Oilers completed this offseason was the surprising acquisition of defensive prospect Griffin Reinhart, a former first-round pick (fourth overall) of the New York Islanders. The Oilers traded a 1st-round (16) and 2nd-round (33) pick to the Islanders in exchange for Griffin, who only adds to the talent in the Oilers’ system. Though he may not be ready to suit up for the Oilers this season, he won the Memorial Cup as the captain of the Edmonton Oil Kings two years ago and scored 22 points in 59 games with the Bridgeport Sound Tigers in the AHL last year. His return to Edmonton should bring similar success to the Oilers. This trade is a perfect example of the new management’s creativity and determination to set things right in Edmonton. 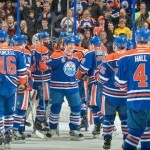 The Oilers made aggressive offseason changes to the management and organization, and went out and completed six trades. Though some of the trades were quite minor, it represents a shift in the philosophy in Edmonton that is long overdue. 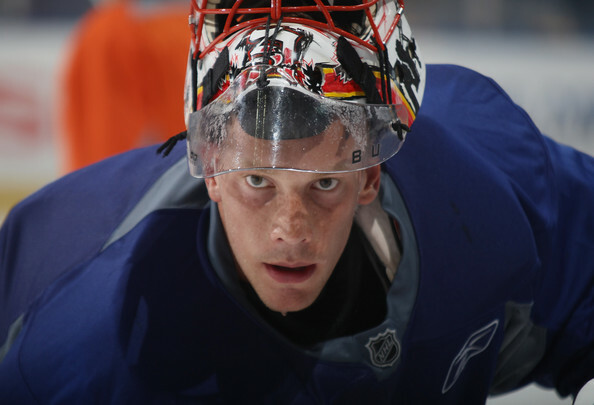 One completely under-the-radar move the Oilers made was acquiring the rights of and then proceeding to sign goaltender Anders Nilsson to a one-year deal. Though the Oilers had two signed goalies already in Cam Talbot and Ben Scrivens, Nilsson adds additional flexibility and is an underrated goalie. His stats do not reveal much, as he hasn’t gotten many starts in the NHL, but he showed a lot of poise and versatility in his time with the Islanders. He most recently went 20-9 with a GAA of 1.71 with the Ak Bars Kazan in the KHL. If nothing else, it was an easy and safe transaction for the Oilers to make to add another goalie with potential to the depth chart. No one really knows if Cam Talbot is a true number 1 goalie. He could have a stellar season with the Oilers this year, or he could struggle. No matter what, he will be determined and grateful to have the opportunity to show he is worthy of being a starting goaltender in the NHL. He played extremely well for the New York Rangers last season while filling in for Vezina-winning goaltender Henrik Lundqvist. Talbot won 21 times in 36 games and posted a .926 save percentage and a 2.21 GAA. The reason these numbers don’t necessarily translate to his play this year is because the Oilers are a very different team than the Rangers. 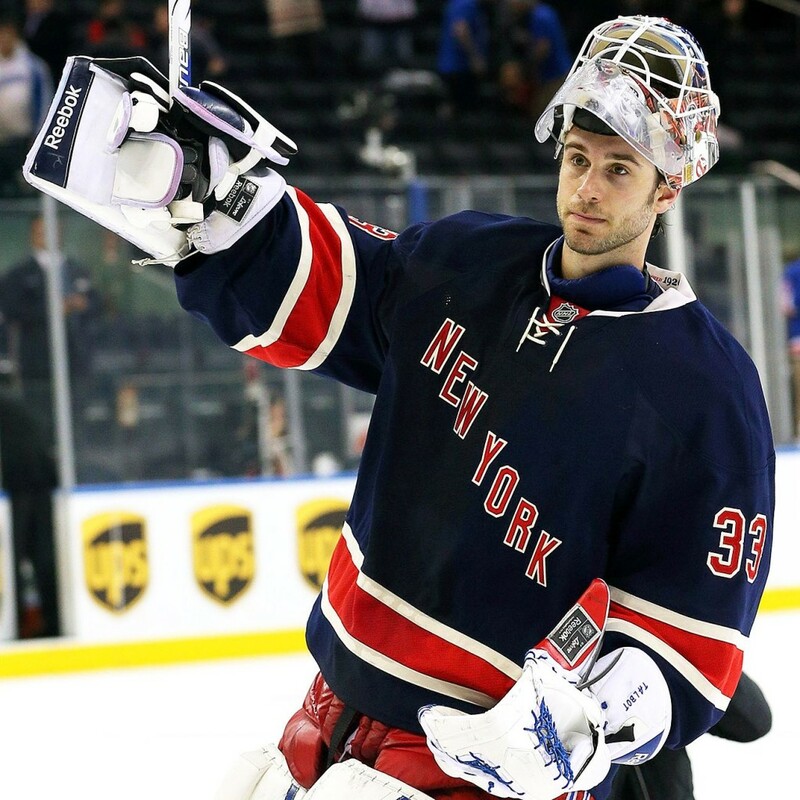 In New York last year, Talbot was playing behind one of the best defensive units in the league. The Rangers’ system is very defense-oriented, and the Rangers ended up winning the President’s Trophy last year as the team with the best record in the league. Talbot deserves a lot of credit for being a part of that, for the Rangers could have been dead in the water once Lundqvist went down with that serious vascular injury, but that doesn’t necessarily mean Talbot will perform on the same level this year in Edmonton. The Oilers have learned that giving up on goaltenders with potential (i.e., Devan Dubnyk) is not always a wise move, though Dubnyk didn’t necessarily show too many signs of life. Talbot is definitely worth sticking with for a few years at the least, though, for he does have a lot of talent. It’s just not clear whether he is ready to be considered a true number 1 this year. However, the beauty of hockey is that he could prove all the naysayers wrong and have an incredible year. Though this technically happened at the trade deadline, it is still worth mentioning. This was a terrible trade for the Oilers. It didn’t send shockwaves, as a lot of fans around the league expected Petry to be moved. However, Petry was worth more than a 2nd-round pick and a conditional 5th-round pick (that ended up being a 4th-round pick because Montreal won one playoff series). If the Oilers had to move Petry, they could have at least tried to get one of Montreal’s young defensive prospects, like Jarred Tinordi. Even if Tinordi wasn’t available, Petry should have gotten a more significant return for Edmonton, especially at a time when other defenseman were commanding significant returns at the trade deadline. Petry has since signed a hefty extension with Montreal (5 years with a cap hit of $5.5 million), but Edmonton still dropped the ball on this trade. The irony of it all is that Edmonton ended up signing Andrej Sekera, who was traded to the Kings at the deadline for a conditional 1st-round pick and a defensive prospect. If that’s not ironic enough, Sekera signed for the same exact term and amount with Edmonton as Petry did with Montreal. It’s not really necessary or relevant to compare the two defenseman, but this was a bad trade for the Oilers, who could have and should have gotten a better return. Luckily for Oilers fans, new general manager Peter Chiarelli came in and made smarter, more effective and reasonable deals, including trading for Griffin Reinhart, a top defensive prospect from the New York Islanders, as well as acquiring Eric Gryba from the Senators. It’s doubtful the Oilers will re-sign Gryba once his contract expires at the end of this season since the Oilers with have Darnell Nurse and Reinhart in the wings, but you never know. The Petry deal is on Craig MacTavish, not Chiarelli. The Petry trade is just another example of how poorly the organization has been managed over the years. Chiarelli seems to be changing things for the better. The Oilers organization is completely stockpiled with talented forward and defensive prospects. With a new general manager and a new head coach in town, anything is possible this season, especially when it comes to line combinations and defensive pairings. Justin Schultz and Oscar Klefbom played a lot of minutes together last season, but with the additions of Sekera and Gryba, McLellan may choose to separate the two young defensemen. According to an article in the Edmonton Journal, McLellan recently suggested the possibility of putting Leon Draisaitl on the wing. McLellan stated that McDavid and Nugent-Hopkins will most likely be the number 1 and number 2 centers on the roster for many years, so it could be a waste to put Draisaitl in as the third line center. It’s possible Draisaitl will play as a wing in the top six this season, or he could see some time as the third line center (or even a winger on the third line) until he develops enough consistency to be able to move up into the top six. Depending on Yakupov’s season, Draisaitl could even move up to play with Hall and McDavid, but in the long run one would think Benoit Pouliot is more of a candidate for third-line minutes than Yakupov. However, based on McLellan’s comments about Draisaitl being effective on the backhand (much like Joe Thornton, whom McLellan coached in San Jose), it is quite possible McLellan plans for Draisaitl (a left-handed player) to take the right wing slot on the top line with Hall and McDavid. No matter what, McLellan and the Oilers will have to play around with the lines, especially in the preseason. It’s possible Draisaitl will not play with the big club at all this year, but Draisaitl will eventually be a key part of this team. In any case, in a few short years the Oilers’ top six could feature six first-round draft picks in Hall (1), McDavid (1), Yakupov (1), Nugent-Hopkins (1), Eberle (22) and Draisaitl (3). Yikes. The tide is changing in Edmonton. After years of inexplicable ineptitude, the Oilers finally seem to have a management group ready and willing to turn this team, loaded with talent, into a winning team. With the hiring of Peter Chiarelli and Todd McLellan, the acquisitions of Andrej Sekera, Griffin Reinhart and Cam Talbot, along with the gift from the hockey gods of Connor McDavid, the Oilers are poised to turn things around in Edmonton. Every year after the Oilers draft another superstar, people wonder whether the Oilers are finally going to turn it around and take advantage of all the talent in the organization. Unfortunately, teams need more than just pure talent to win in this league. The Oilers have addressed the major organizational concerns and have started to turn the team around. It seems likely that McLellan will hand the captaincy to someone more deserving than current Oilers captain Andrew Ference, who has been a disappointment, to say the least, since coming over from Boston; whether that’s Hall or Eberle or another player this year, or McDavid in a few years, no one knows. McLellan understands that things do not have to be and should not be rushed moving forward. There is plenty of time to right the ship in Edmonton. This will not be an overnight process, but Edmonton finally has the pieces in place to get the Oilers cranking.